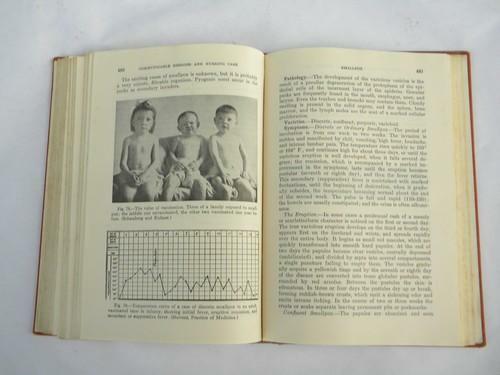 Old early 1940s World War Two vintage medical text and reference book for nurses... -A Textbook of Medical Diseases for Nurses including Nursing Card- by Arthur Stevens and Florence Anna Ambler. 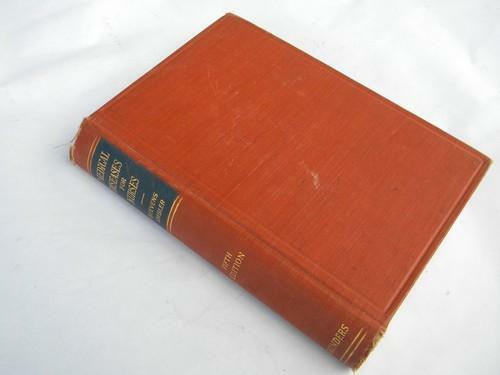 This is the fifth edition and is copyright 1944 with over 600 pages. 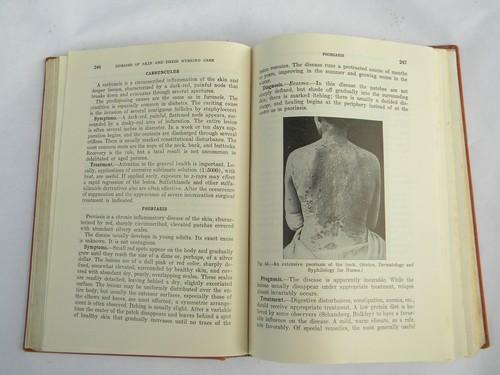 This text covers diseases such as Typhoid Fever, Measles, Mumps, Smallpox, Tuberculosis and many more! This has wear to the cover, a bookplate with a woman's name on the front end paper and the front joint is cracked. 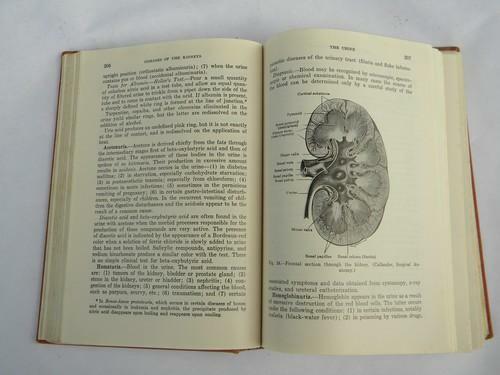 This has brown foxing to some of the pages.